Do you ever get the feeling your daughter may be...hiding something? Does she test out of every Presidential Physical Fitness test? Does she write every school report she can about the people of the Amazon? Does she refuse to take off her bracelets, even at night? Is her Instagram feed @demigoddess and her Twitter handle @iamtherealdianaprince? Well, we don’t know quite how to tell you this, but, um...your daughter is Wonder Woman. Yeah, we know. It probably comes as a bit of a shock to you, but it’s actually kind of obvious. Truly, you had no idea? Where do you think she goes for hours at a time? No, she’s not “at Chelsea’s house;” she’s out saving the planet and radiating peace. Not bad for an extracurricular, huh? 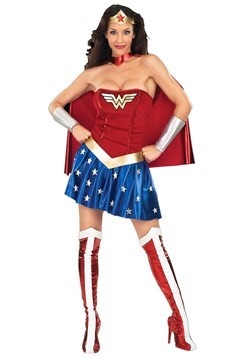 And yes, she is actually on the debate team, but she has a little help from her Lasso of Truth. This is actually great news; you have a member of the Justice League living right under your roof! And we know all those “sculpted from clay” rumors may bug you, but just let it go--you know the truth. And you don’t want to reveal her secret identity and place of residence to evildoers, do you? 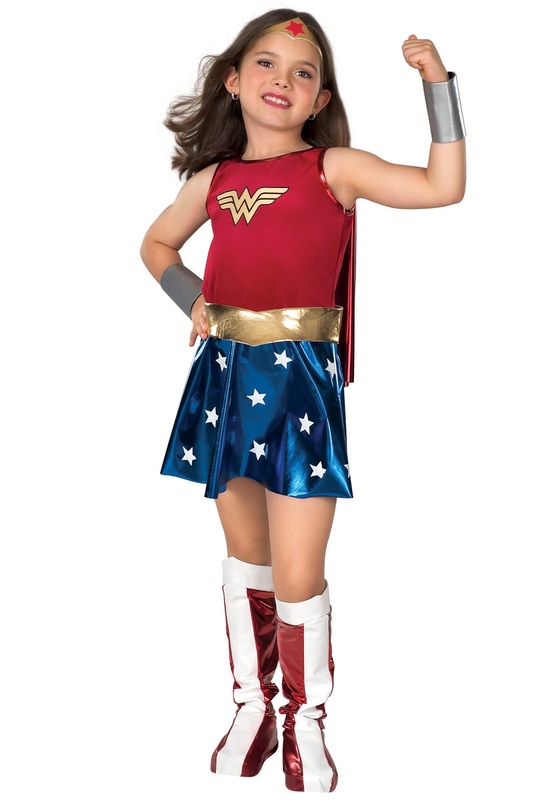 So, stop fighting it and give your little superhero this Girl’s Wonder Woman Costume--partially to show her that your support her, and partially because she grew out of her last version. 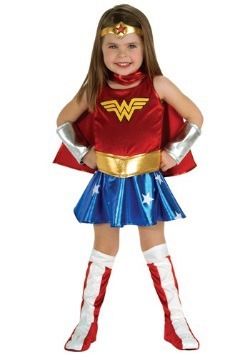 It comes with the signature WW tank top, blue skirt, red cape, tiara, boot toppers, and wristbands. 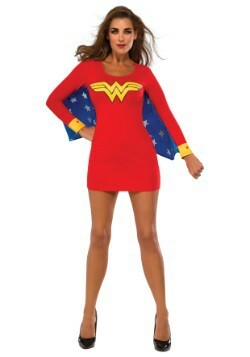 All that’s missing is her lasso--but she doesn’t tell anyone where she keeps it.